Article below by Albert Samaha at buzzfeed.com. 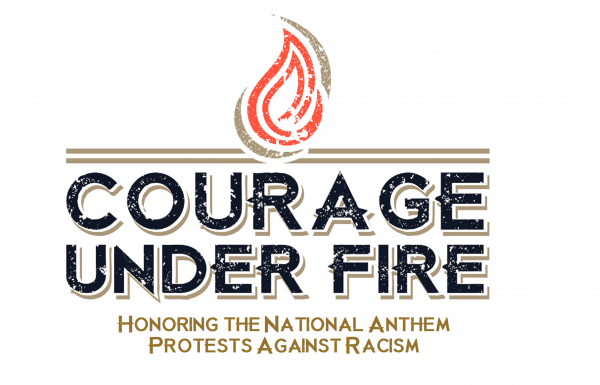 One of the major catalysts for the creation of Courage Under Fire was the relentless and authoritarian attacks on students, middle, high school, and college, who exercised their first amendment right to freedom of speech by refusing to stand during the national anthem. Further, at private schools where the first amendment is not applicable, students were being punished or engaging in silent, unobtrusive speech not explicitly forbidden by school rules or policies. The depth of white racism is reflected both in the histrionic reactions to peaceful protest against racism during the anthem, and the efforts by administration officials to ban said protests, despite established law allowing for such acts at public schools; this is addition to the equally ridiculous threats of suspension, removal from teams, withholding of budgets, cancellation of scholarships. Wholly unacceptable in an allegedly free society. This is why we kneel. But the first time had been on his home field in front of supportive classmates and parents, most of them Latino or, like V.A., Native American. This time, he was 250 miles from home, in Mayer, Arizona, before a high school whose student body was 78% white. Read the rest at buzzfeed.com.